As a top manufacturer of solids control equipment and system in China, Hebei GN Solids Control Co., Ltd has always been focusing on internation market. With around a decade’s growing, Hebei GN Solids Co., Ltd is in a leading position and occupying the biggest portion in the internation market among all China’s solids control equipment manufacturers with 70% turnover from export. Unit now, GN product has been exported to over 60 countries all over the world with a complete marketing internet including marketing on the internet; developing partners; and also seting up branches in foreign countries and also attending famous and attractive show in oil and gas field. 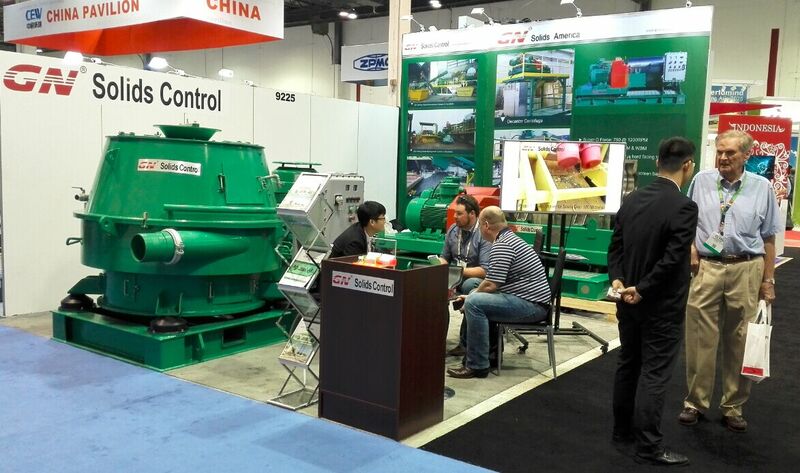 Hebei GN Solids Control has established the American branch with warehouse 2013 as the start point leading GN to the world, later Russian branch established last year. Every year Hebei GN solids control will attend a lot of oil and gas field shows to display its new designed and updated project. GN product will show on the 2015 OTC and 2015 Iran Oil Show. 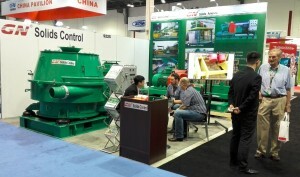 2015 OTC( Oil Technology Conference) was held in Houston, the USA during 4th to 7th May, 2015. The branch GN Solids America LLC is located in Houston, so it will more convenient to attend this Show with GN product stored in the warehouse. GN big bowl with large capacity decanter centrifuge,, and GN highest standard decanter centrifuge and also GN vertical cutting dryer for drilling waste will be on show. Through around 10 years’ development, a GN Solids Control brand has achieved in internation market aiming to medium and high end customers. So GN has got API certified, CE certified and also Russia TR&TC certified to ensure GN product’s quality.